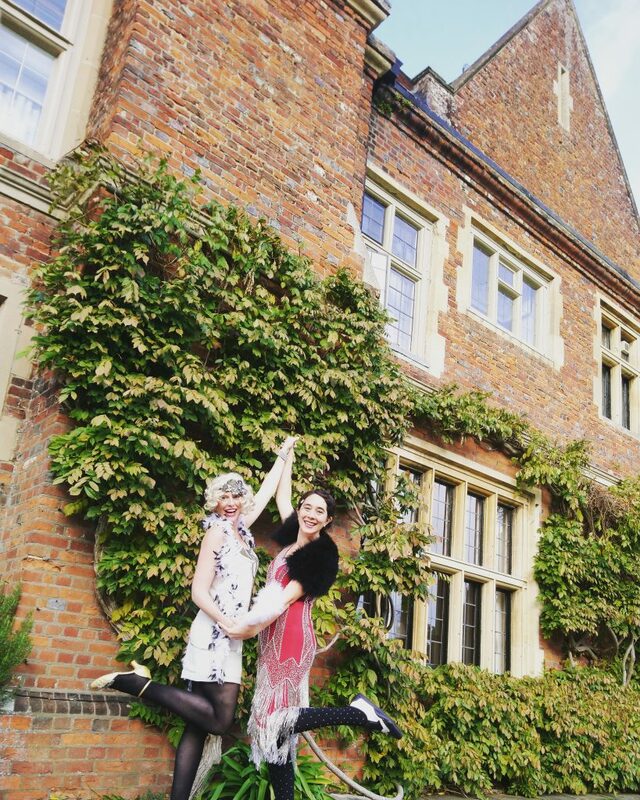 We’re excited about our new vintage partner venue, an exclusive country house holiday rental near Reading and Henley. 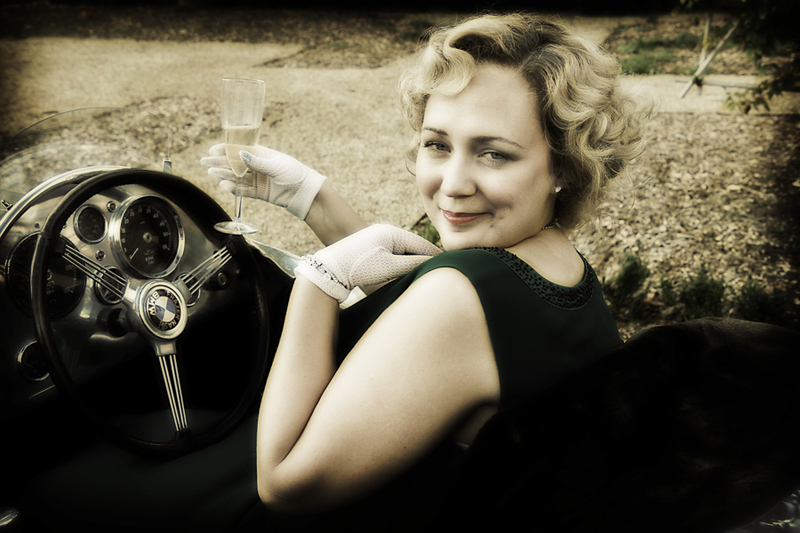 It’s perfect for a luxury hen parties or groups wanting a very special place for their vintage day out. You can stay at the Manor for a minimum of two nights, or rent the whole house for a vintage day of activities, without accommodation between 10am and 6pm. 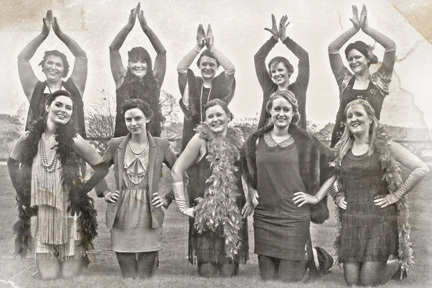 It’s the perfect 1920s party venue for your birthday party or company Christmas party. With the swimming pool it’s great for a 1950s tiki themed party or cocktail party too. Want a hen party venue with a swimming pool? 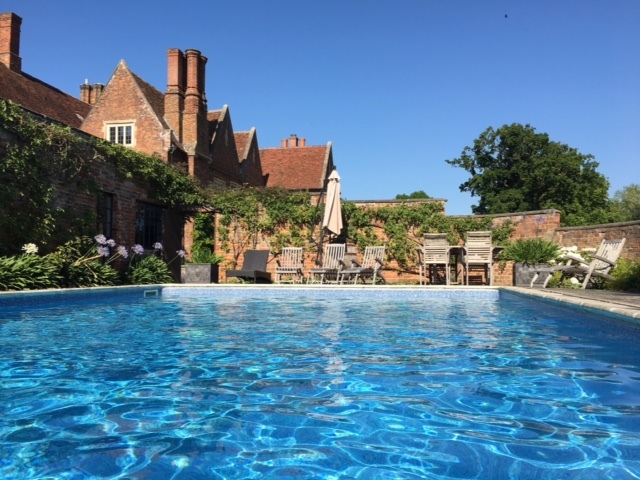 Whether staying for the weekend or renting the house for a day, groups can take advantage of the pool, and a beautiful 16th century wood panelled dining room. With it’s long antique dining table, what could be better to make you feel like Noel Coward and his set having afternoon tea or dinner? Or even Gatsby and his guests? There is even a terrace with a view of gorgeous parkland where you can sit and sip your champagne, and plenty of beautiful photo opportunities. 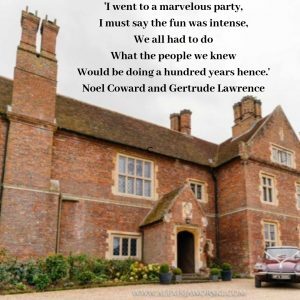 Feel like Noel Coward and his set, going to a marvellous party in a country house. Do your own afternoon tea and dinner or we can put you in touch with the venue who can recommend caterers. 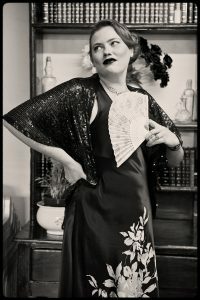 Feel like a vintage movie star and don an evening gown for this special experience. 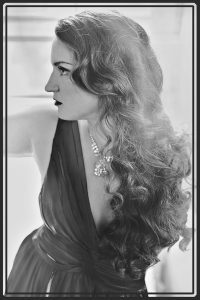 Have your hair and make up done in vintage Hollywood style. 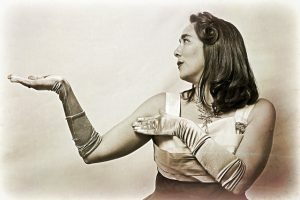 Have a vintage piano player play classic swing hits from the 1930s to 1950s. Have your own cocktail party and canapes using the kitchen facilities, or the venue can put you in touch with a caterer who can help. 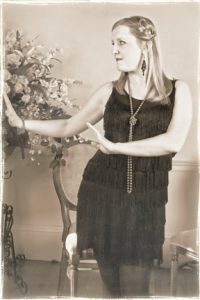 Add a vintage etiquette class and 1930s dance class for some extra ‘Hollywood star’s day off’ hijinks. 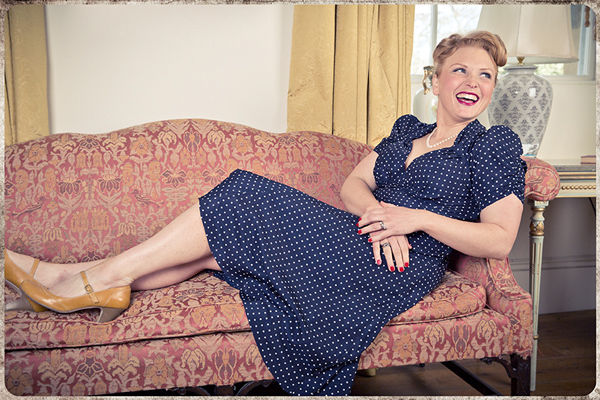 Dress in 50s splendour and relax by the pool with 1950s hair and make up and 1950s chic. 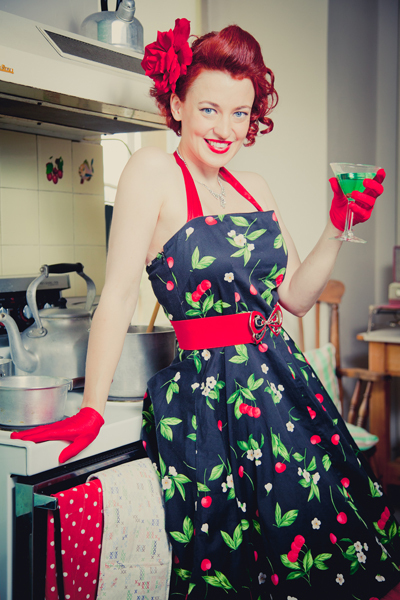 How about a 1950s cocktail party? Contact us for more details, prices and availability, and we’ll get the ball rolling and help you put together a super day out. Do check early, our venues are popular and do get booked up on weekends. Do browse our dance class, hair and make up and activity menus for more pictures and details.